Captain Marvel - The Avenger’s Most Powerful Hero - With Marie-Claire from What The Force? 90s? Flurkens? Feminism? What important themes appear in CAPTAIN MARVEL? Marie-Claire Gould from the What The Force? 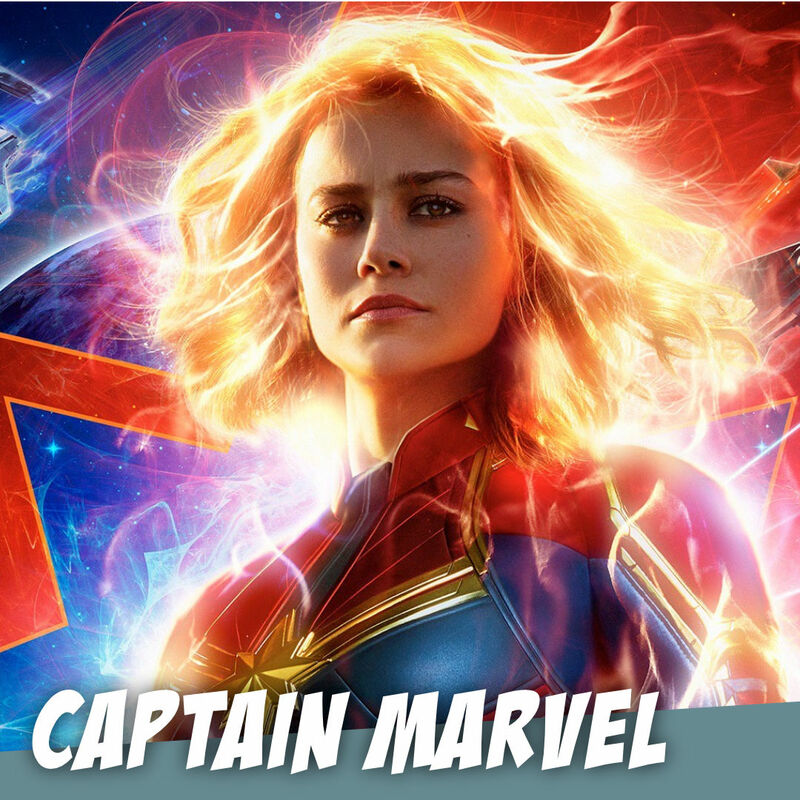 podcast joins Sandra Dimas and Justin Weaver to dig deeper into the MCU's latest film... CAPTAIN MARVEL! AFTERCAST: Marie-Claire sticks around with Sandra and Justin to keep digging even deeper into CAPTAIN MARVEL... including discussion around Goose! This is Episode 5 in our MCU series leading up to AVENGERS: ENDGAME! Next week, we will be LIVE on The Story Geeks YouTube channel with a full (spoiler-filled) reaction to AVENGERS: ENDGAME! Catch us LIVE at 8:00PM (PT)! What's the BEST MCU Movie? It's time for a NERDFIGHT! Episode 4 in our MCU (Marvel Cinematic Universe) serial leading up to AVENGERS: ENDGAME! THE AFTERCAST: Daryl and Jay hang out in studio with Sandra and Megan to discuss their favorite MCU movies... $2-a-month supporters get access to this and ALL our Aftercasts. More content from The Story Geeks on The Story Geeks Aftercast! Helen O'Hara, editor-at-large and freelancer at Empire Magazine and one of the hosts of the Empire Podcast (and one of our favorite guests), joins Daryl Smith and Jay Sherer to dig deeper into Thor's evolution and his character journey through the MCU. THE AFTERCAST: Daryl and Jay talk about more characters and their journeys throughout the MCU... this week: the characters who died in Infinity War (e.g., Gamora, Spider-Man, Black Panther, and more!). $2-a-month supporters get access to this and ALL our Aftercasts. More content from The Story Geeks on The Story Geeks Aftercast! Who's the BEST Spider-Man? It's NERDFIGHT time!!! Here's Episode 2 in our MCU (Marvel Cinematic Universe) serial leading up to AVENGERS: ENDGAME! Michael Gordon, co-host of the Earth Station One Podcast and the writer behind Tiki Zombie, moderates today's NERDFIGHT between Jay Sherer, Justin Weaver, and Sandra Dimas. IRON MAN in the MCU. Episode 1 in our MCU (Marvel Cinematic Universe) serial leading up to AVENGERS: ENDGAME! Helen O'Hara, editor-at-large and freelancer at Empire Magazine and one of the hosts of the Empire Podcast (and one of our favorite guests), joins Daryl Smith and Jay Sherer to dig deeper into Tony Stark as IRON MAN and his character journey through the MCU. Batman v. Batman - Who’s the BEST live-action Dark Knight? Our latest NERDFIGHT: Batman v. Batman v. Batman!!! Who will win? Who SHOULD win? Mike Gordon will decide! Listen to the podcast, and then PLACE YOUR VOTE on our poll in The Story Geeks Facebook Group poll! THE AFTERCAST: Mike Gordon shares his opinion on who he thinks the BEST Batman is! More opinions from The Story Geeks on The Story Geeks Aftercast! Top 5 Tim Burton movies! With Dumbo coming out soon, we thought we'd take a trip down memory lane to see what other Tim Burton movies we loved. Sandra Dimas and Justin Weaver are joined by Nick Duke and Josh Taylor (from Network 1901) to give their Top 5 Tim Burton Movies on today's The Story Geeks podcast! Special thanks to the following Patreon CONTRIBUTORS for sharing their lists: Jim and Merrie! THE AFTERCAST: What came in at 10 through 6? Sandra, Justin, Nick, and Josh share theirs on our Patreon AFTERCAST! Available to Patreon supporters at $2-a-month or more! AVENGERS: INFINITY WAR! We continue to dig deeper into the Marvel Cinematic Universe (MCU) by covering INFINITY WAR! Helen O'Hara, editor-at-large and freelancer at Empire Magazine and one of the hosts of the Empire Podcast (and one of our favorite guests), joins Daryl Smith and Jay Sherer to dig deeper into the precursor to AVENGERS: ENDGAME, INFINITY WAR! On this week's AFTERCAST... Helen, Daryl, and Jay continue to dig deeper into AVENGERS: INFINITY WAR. Extra content from The Story Geeks, available now on The Story Geeks Patreon account! You get exclusive access to Patreon for only $2-a-month!